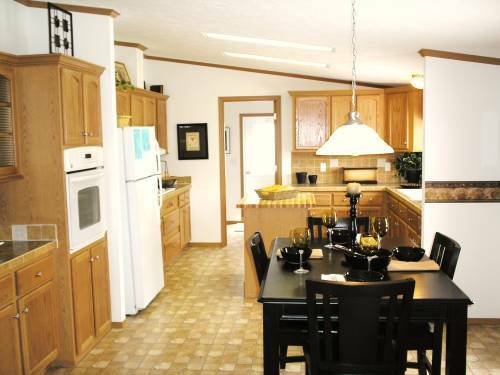 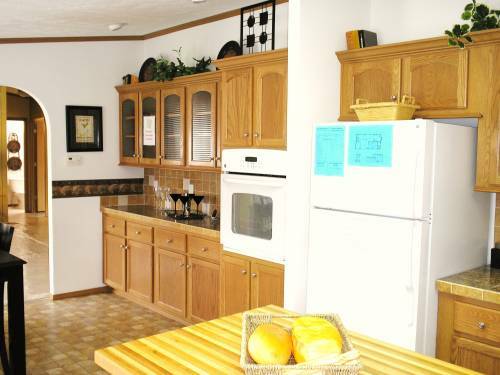 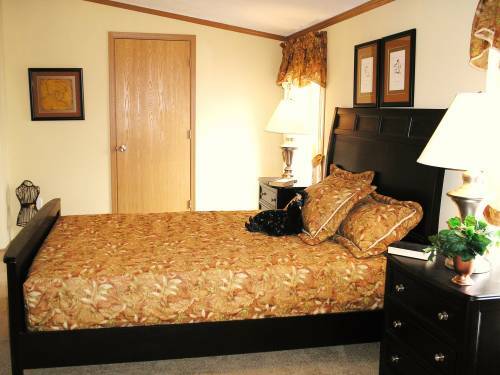 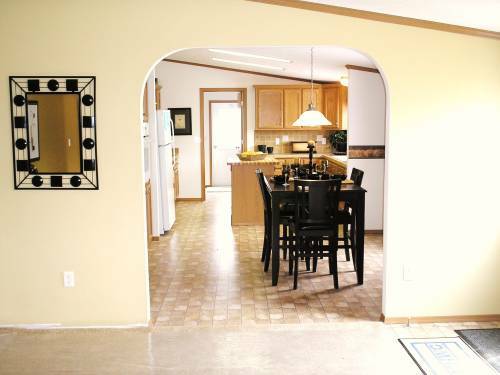 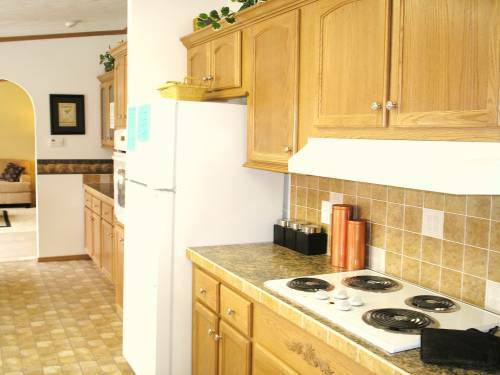 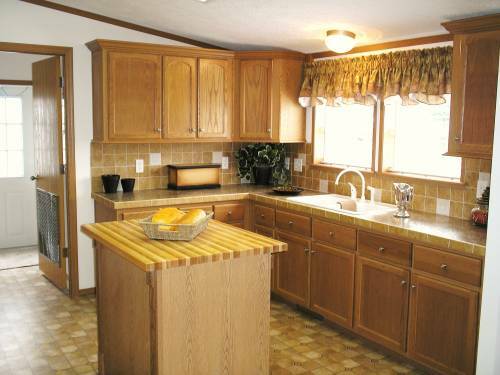 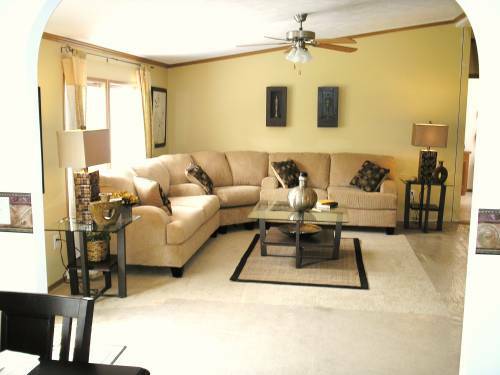 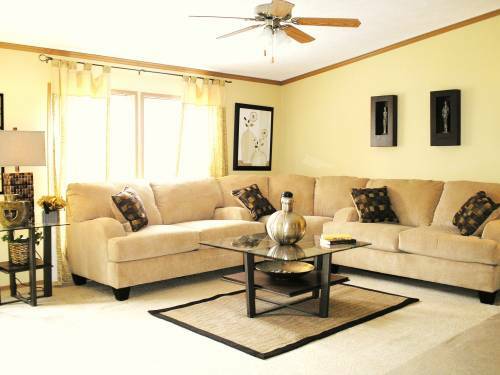 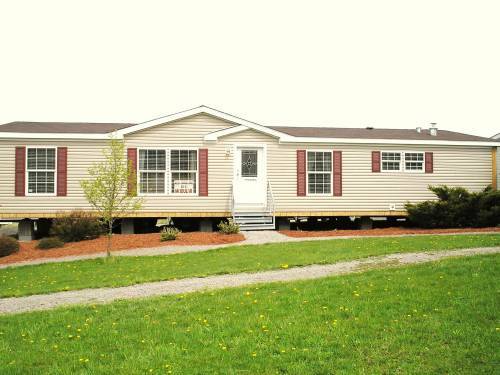 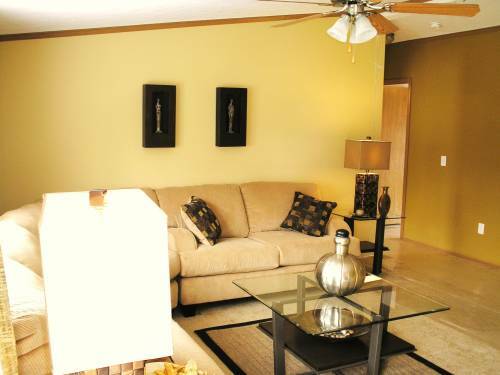 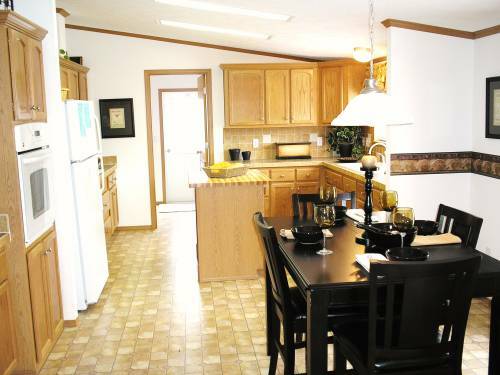 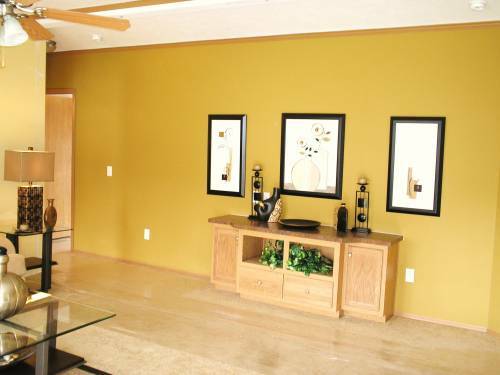 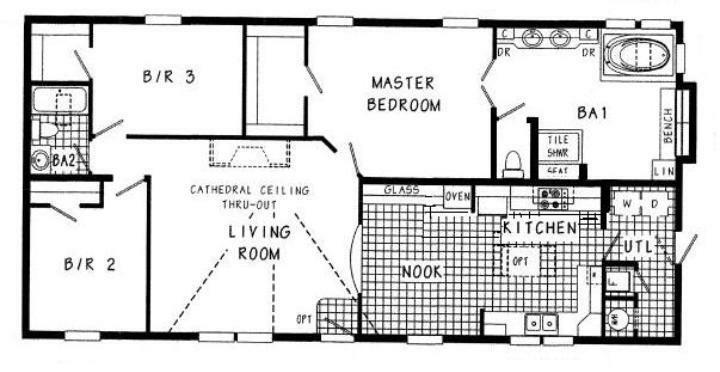 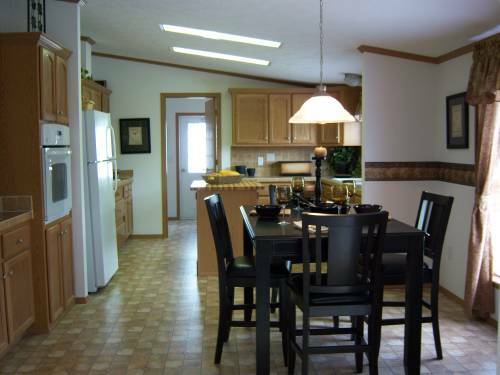 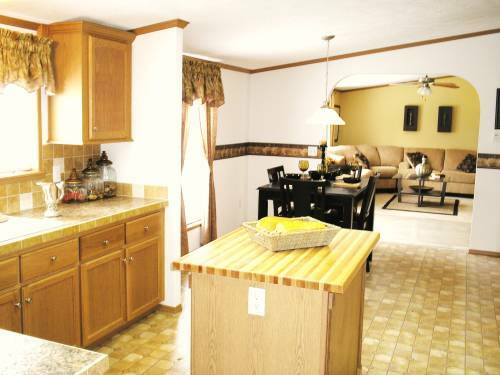 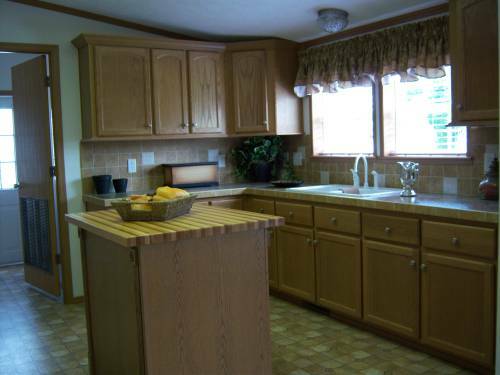 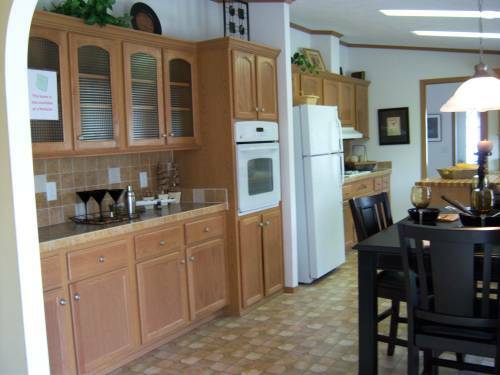 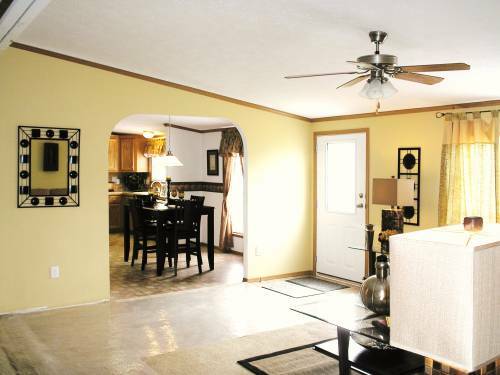 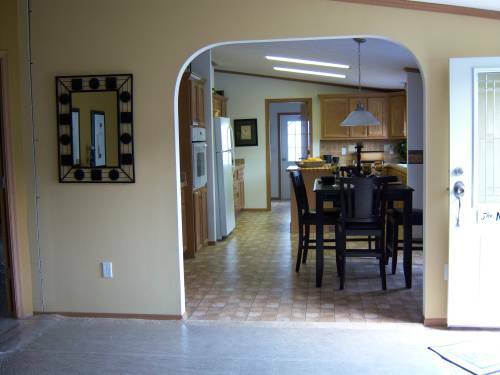 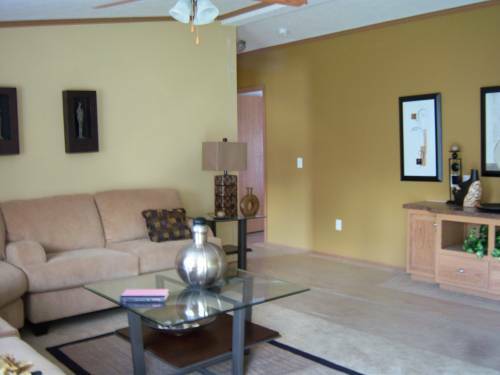 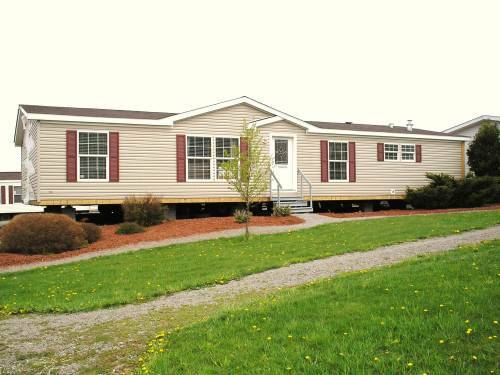 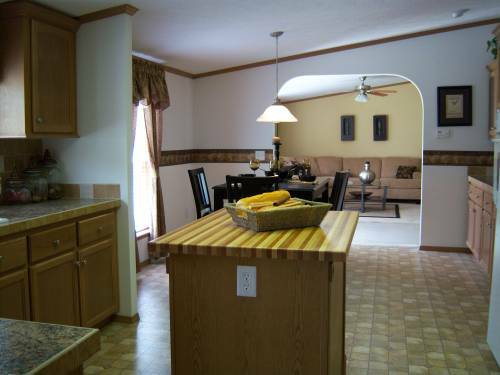 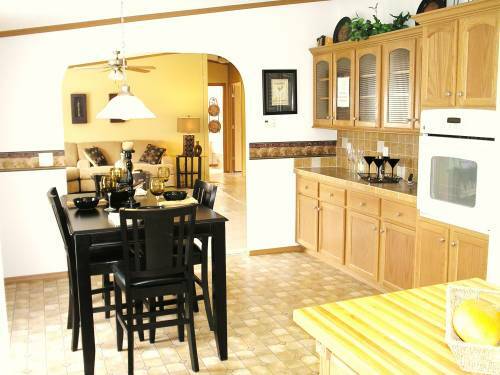 Another impressive ranch home with approximate 1531 square feet of living space. 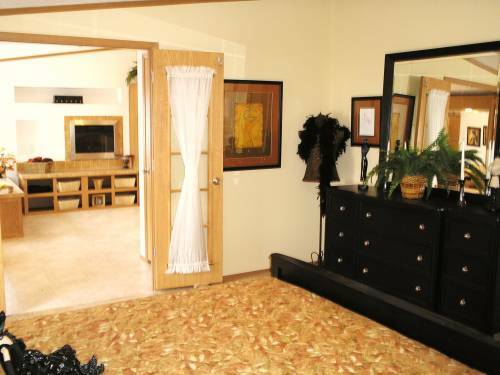 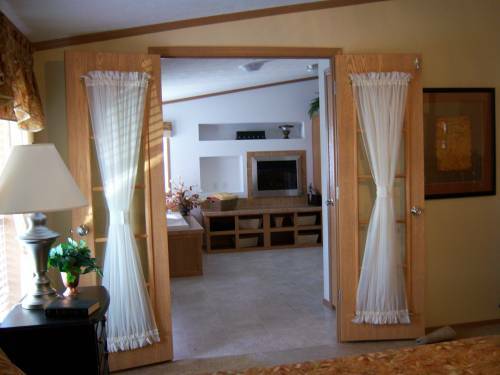 This home has a 16' master suite with french doors leading to a 16' master bath that would impress the Queen of England. 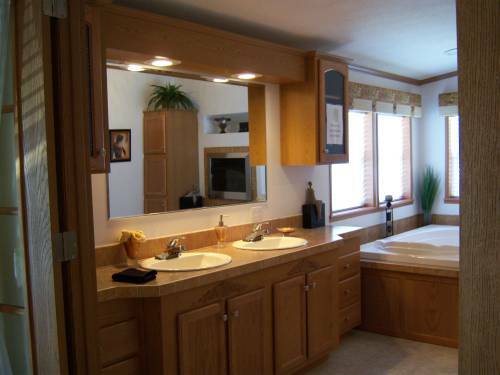 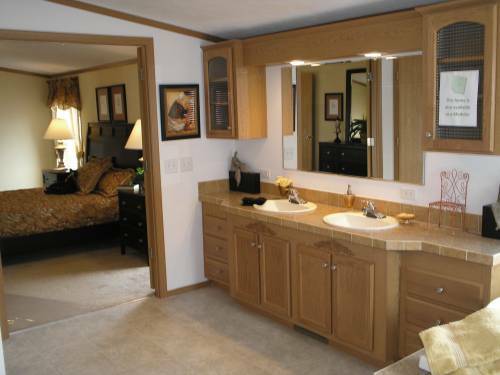 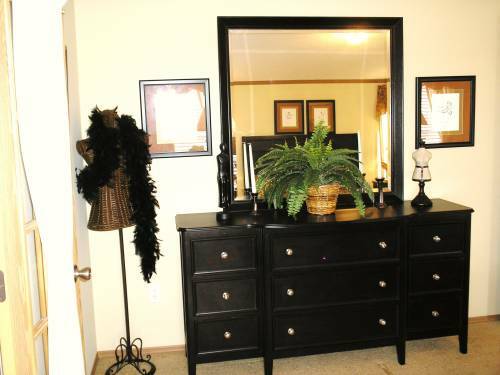 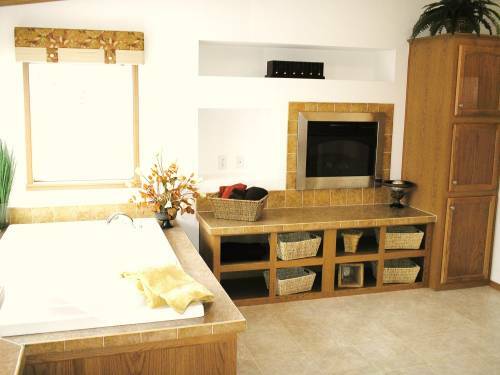 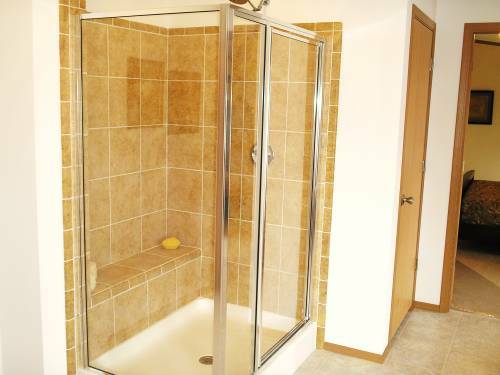 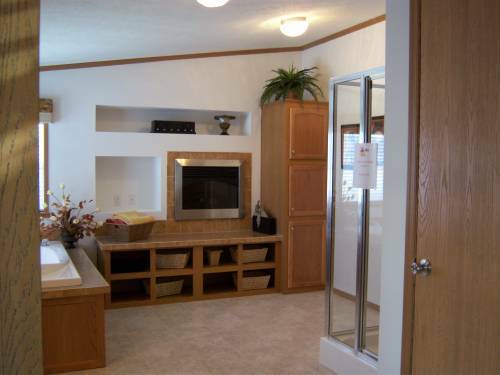 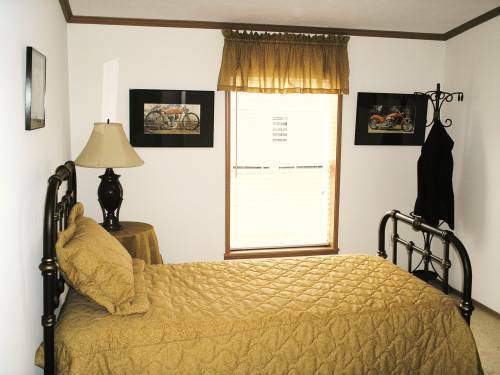 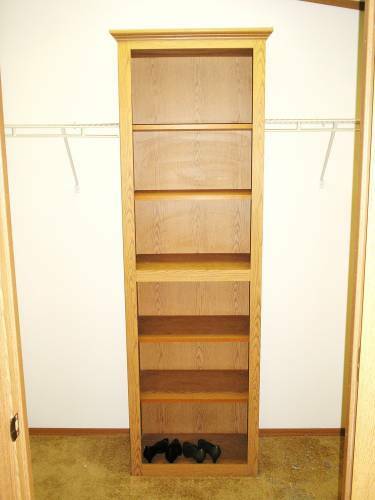 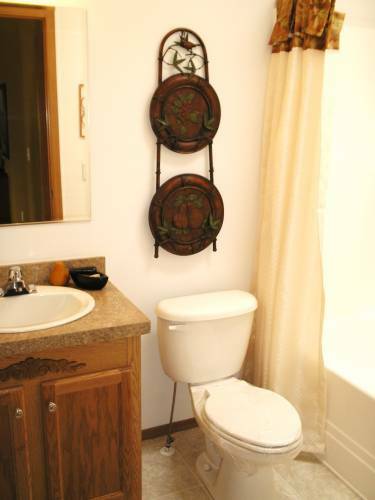 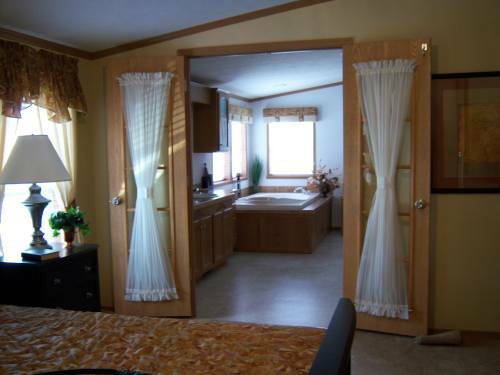 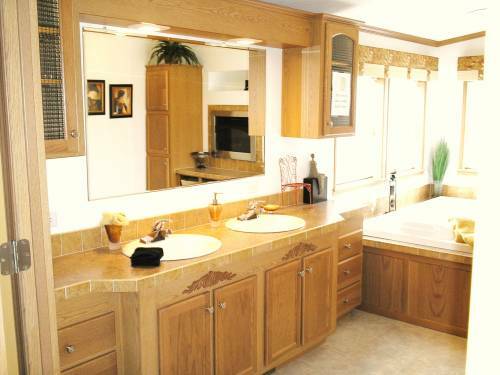 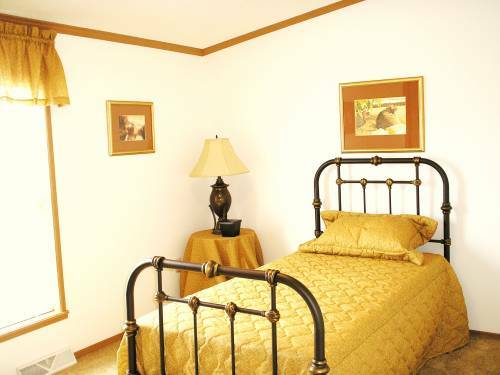 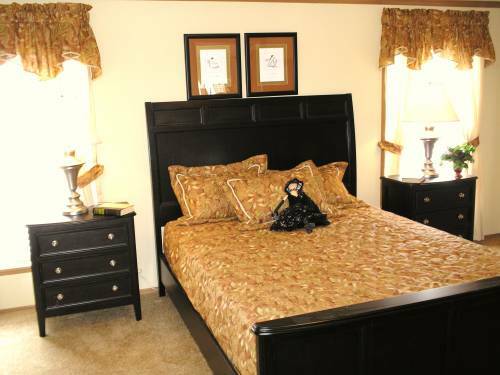 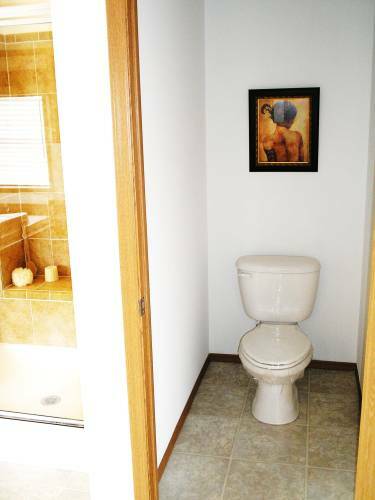 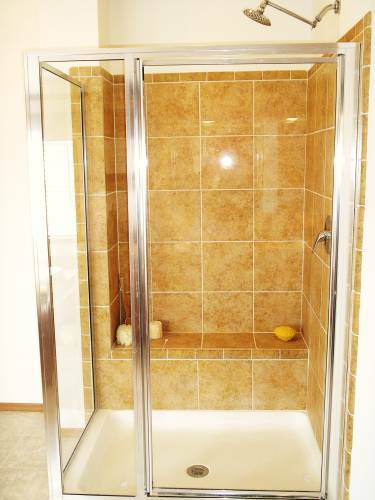 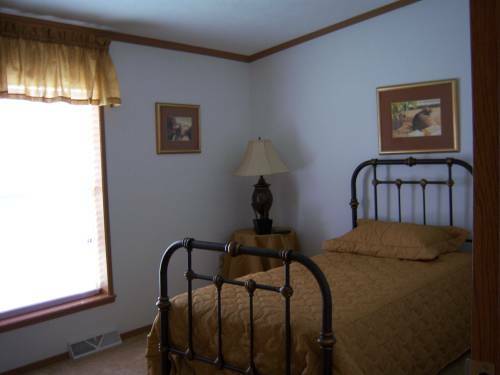 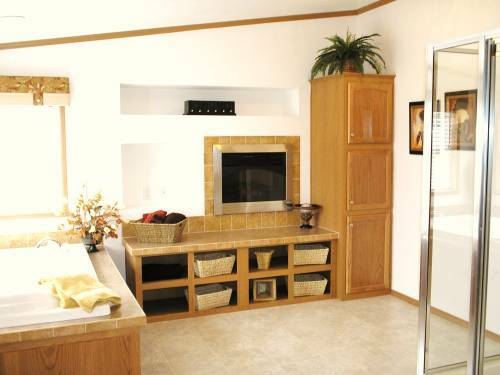 Triple size vanity, double windows over the tub, tile shower with seat for him, a large over-sized tub for her, bench with fireplace and TV center and a large linen closet. 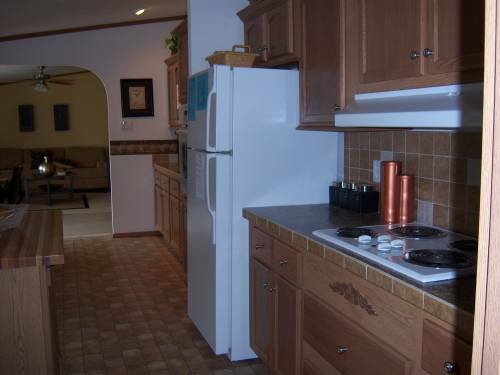 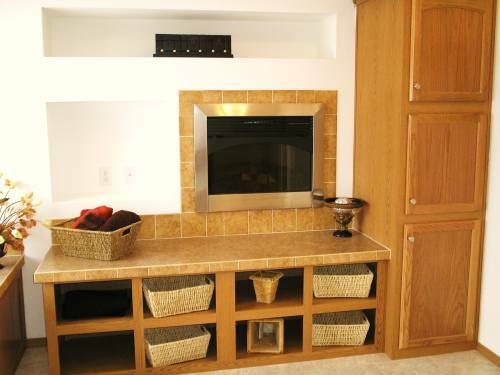 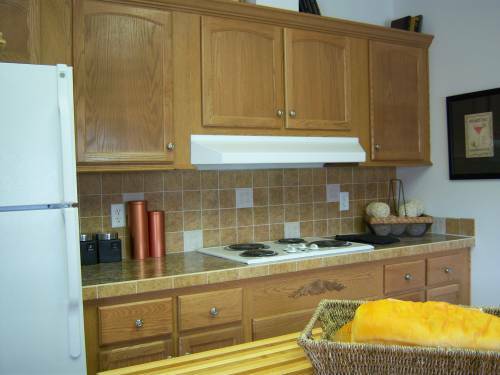 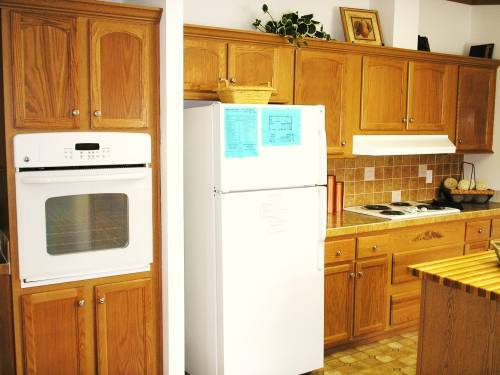 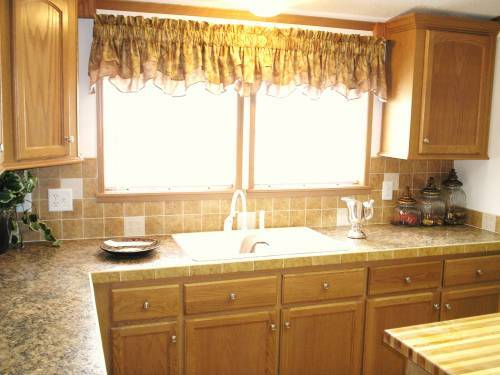 The generous size kitchen has a wall oven with surface top range, butcher block top island and plenty of cabinets.